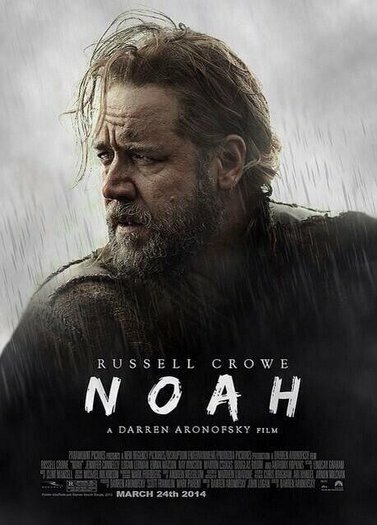 Darren Aronofsky’s Noah is set to hit theaters in 2014 on March 28th. The biblical story is following in the footsteps of last years Bible series that saw a record number of people tune in. Russell Crowe stars as Noah with other high profile actors Emma Watson, Jennifer Connelly and Anthony Hopkins playing major roles. Genesis 6:15 This is how you are to make it: the length of the ark 300 cubits, its breadth 50 cubits, and its height 30 cubits. Genesis 6:19-20 And of every living thing of all flesh, you shall bring two of every sort into the ark to keep them alive with you. They shall be male and female. Of the birds according to their kinds, and of the animals according to their kinds, of every creeping thing of the ground, according to its kind, two of every sort shall come in to you to keep them alive. Genesis 7:1-3 Then the Lord said to Noah, “Go into the ark, you and all your household, for I have seen that you are righteous before me in this generation. Take with you seven pairs of all clean animals, the male and his mate, and a pair of the animals that are not clean, the male and his mate, and seven pairs of the birds of the heavens also, male and female, to keep their offspring alive on the face of all the earth. Genesis 7:10 And after seven days the waters of the flood came upon the earth. Genesis 7:20 The waters prevailed above the mountains, covering them fifteen cubits deep. How Did Noah Fit All Of Animals In The Ark? I HAVE READ THE SIZE REALLY MEANT SOMETHING AS TO THE WIDTH AND LENGTH , FOR A VESSEL TO FLOAT PROPERLY ………. Next post: Do Christians Go Immediately to Heaven After They Die?